Anyone with a business knows that advertising is the key to attaining new clients. 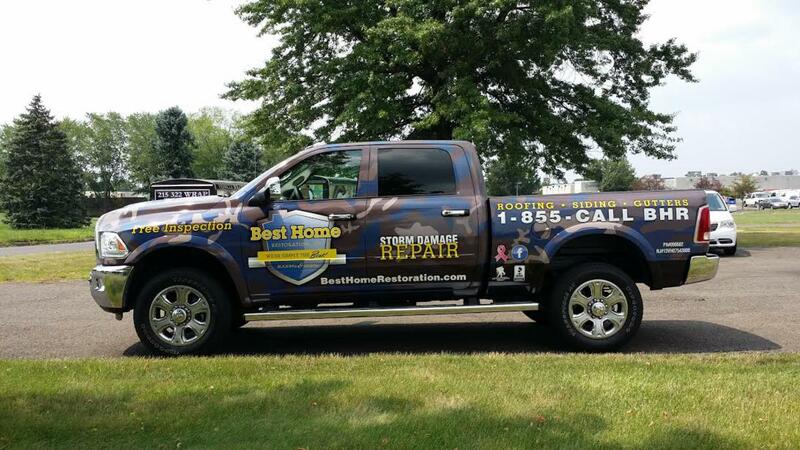 One of the best ways to raise brand awareness is through the use of wraps and vehicle graphics. At Apple Graphics, we provide both wraps and graphics to bring your company the attention it deserves. 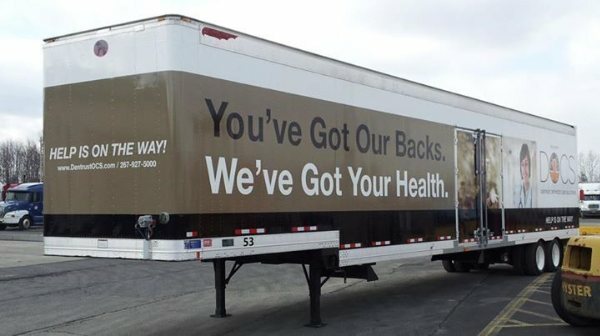 According to the American Trucking Association, delivery vehicles generate 16 million visual impressions each year, making vehicle graphics a smart advertising investment for any company. 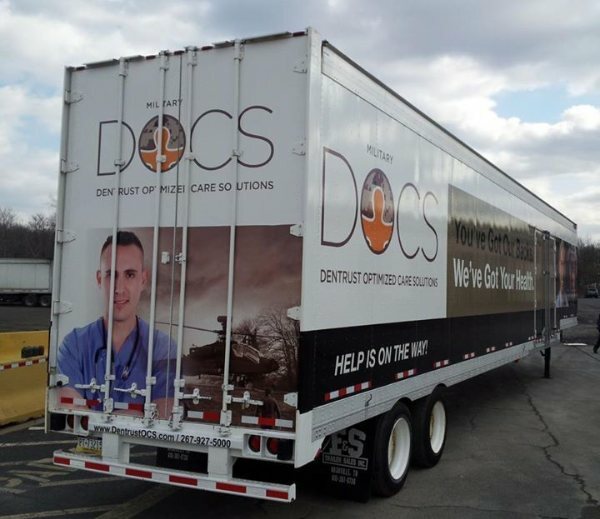 With a wide variety of choices, including full vehicle wraps or single decals, a customized fleet looks professional and promotes your brand. Many people spend hours per day in their vehicles. In essence, our culture has become a captive audience to the car in front of us. Many advertising agencies have capitalized on this cultural norm. 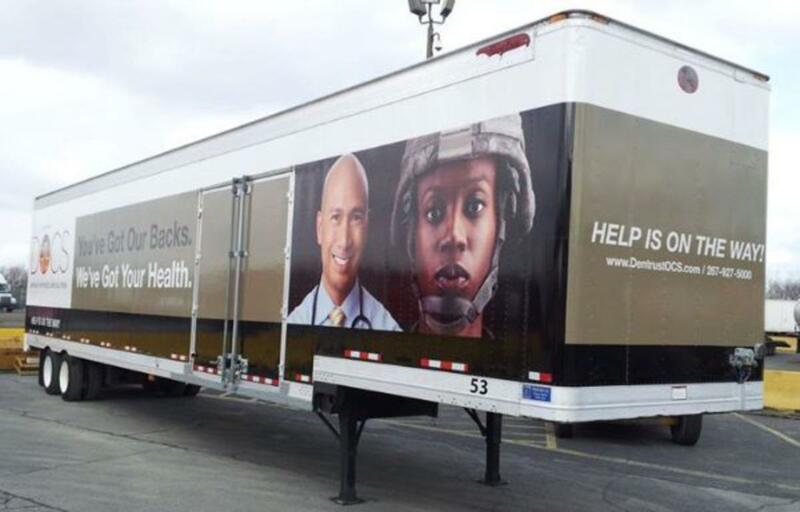 Businesses that have decided to purchase vehicle wraps or vehicle graphics for a fleet of vehicles have benefited from an increase in brand awareness. 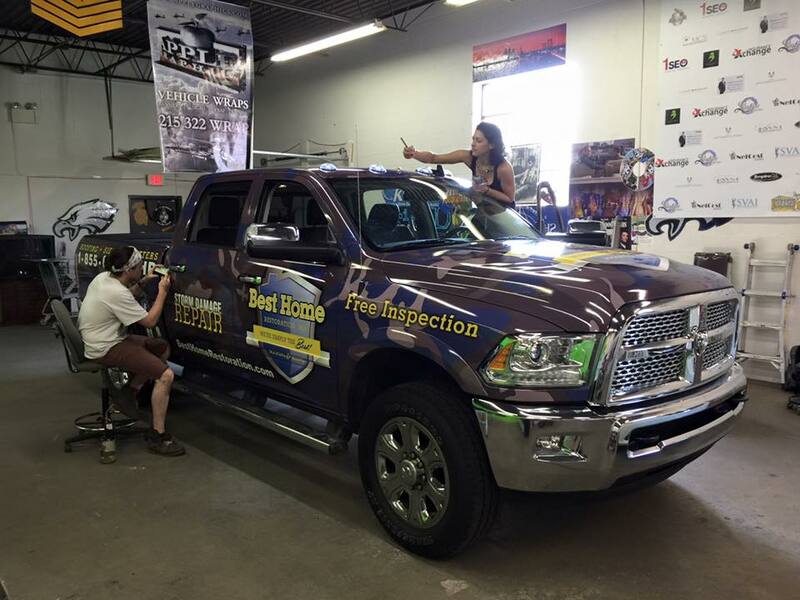 No other form of advertising has a lower cost per impression, and a single vehicle can effectively generate thousands of views per day. 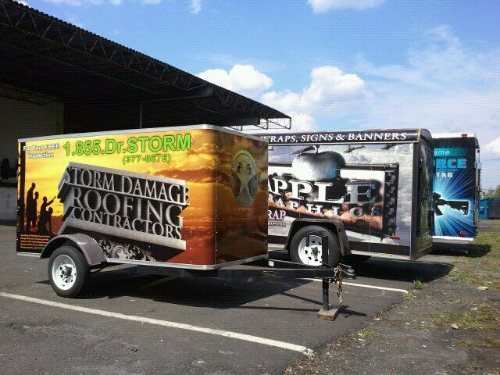 The professional and dedicated team at Apple Graphics can design and install graphics on your company vehicle. 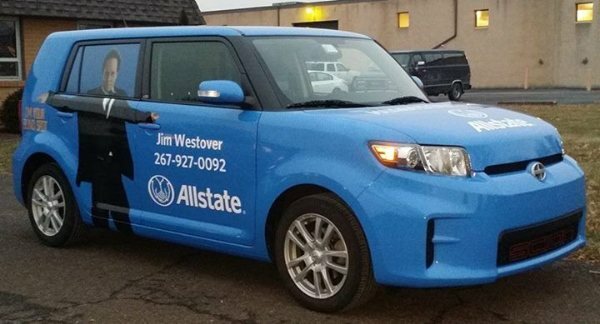 The dedicated staff at Apple will ensure that you have the option of choosing from a full range of options, including simple lettering and full color vehicle wraps. 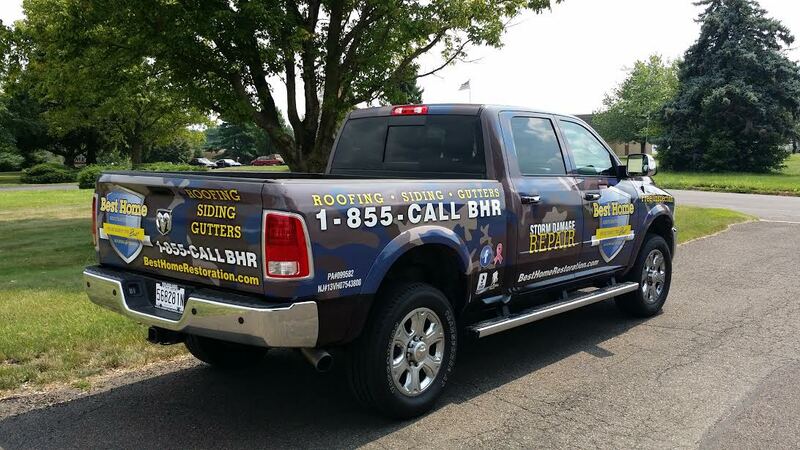 Our team has the capability of lettering small passenger cars, trucks, box trucks, vans, buses and trailers. 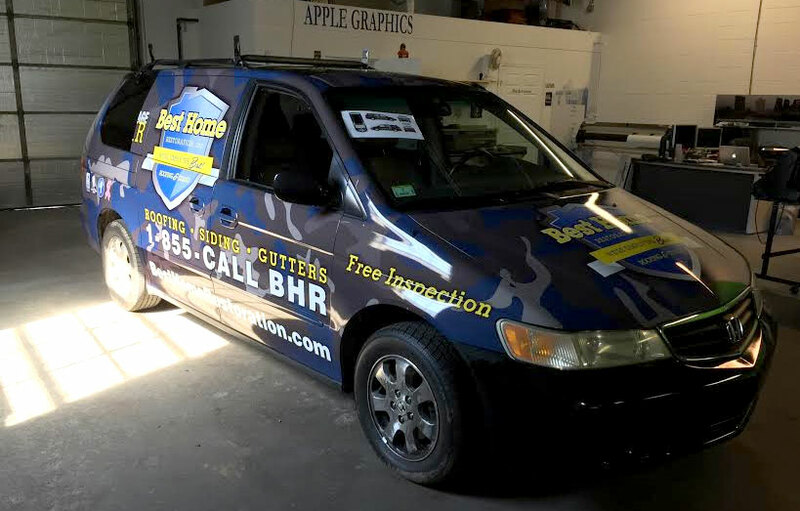 Whether you have a fleet of vehicles or just one single car for your business, Apple Graphics can provide the services you need. At Apple Graphics, we provide custom vehicle graphic templates. These designs are great for any vehicle wrap shops that are looking to create vehicle wraps by first using our templates and then applying their own custom details. We also provide custom graphics and logos. Custom branded graphics and logos are one of the best ways to stand out from the competition. Our talented graphic designers will design the perfect branded art work and logos for your company. We can also render very detailed complex 3D graphics using our state of the art 3D software.